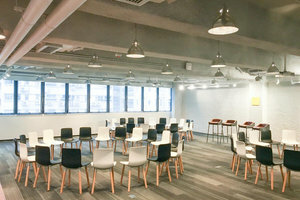 Being an iconic landmark located at the heart of Kwun Tong, this enormous 3,000 square feet event space is now available for business meetings, seminars, trainings, product launches, exhibitions and open day events. This event space never ceases to amaze customers with how customisable it is to cater to different needs. It is a few minutes walk from the nearest MTR station and surrounded with numerous amenities and services. 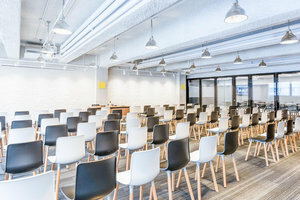 The space is well-equipped with toilets, air-conditioning, stock rooms, counters, internet connection, office equipment, as well as audio equipment. Brands could feel free to make use of all of these amentities and curate the best pop-up event ever!